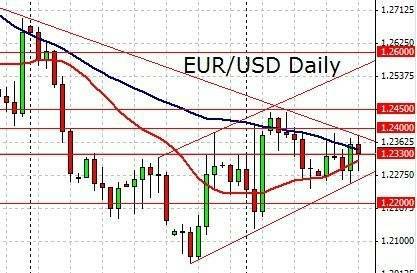 The EUR/USD has been making new highs as it seeks to break topside pressure. Looking at the EUR/USD 60 minutes chart above, we note that it is now testing the resistance of 1.1300. The hourly bollinger band is giving us some insights to this momentum, especially the middle band that the currency pair bounced off a few hours ago. Many analysts are seeing this as a result of increased risk appetite as the US and China trade talks are moving along. The recent news is that the US is ‘not satisfied yet’ in terms of expectations of a deal but progress is been made. Investors are probably urged on by the ‘tough talk’ which is seen as real developments being made. Up next we have a number of significant economic events. Speeches by officials may have question and answer sessions and these may go off script. Any unexpected revelation of details may induce volatility. The European Central Bank’s interest rate decision event together with the statement release and press conference is also a possible source of price action as investors may react to the details. The yellow line of the 1.13 region caps the current bullish effort while the middle bollinger band is likely the immediate support. Do note that price action in shorter time frames are often sentimental in nature. Get the latest weekly forecast update for the major currency pairs. Be informed of the expectations of the markets. The US Federal Reserve has indicated in it’s latest meeting minutes that an interest rate hike may be soon. Find out more.